Brilliantly made his debut at the helm of the national team of Belarus Khatskevich. His team won a hard-fought win 2-1 in Macedonia. Importantly, the team began to practice attacking football. 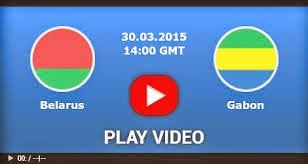 I think also the Belarusians will act in a friendly match against Gabon, which will be held on a neutral field in Turkey. Sorry, will not play Hleb, who was injured in Macedonia. But from the first minutes will appear in Gabon another Megastar - striker Aubameyang Borussia. And this is a guarantee of at least a goal. Three days ago in the game against Mali he did a double, but his team scored four times. It is logical to bet on over 2.5 goals in this match.